The book held pride of place in one of the kitchen cabinets. You could see it very well through the glass door: its thick black covers, the paper yellowish with age. Life at my grandparents’ house revolved around the kitchen, where the most basic necessities of life were always handy, where life itself happened. The book belonged to the basic stuff of life. On Saturday, sometimes Sunday mornings (especially when, because of old age, my grandparents were not always able to make it to church), my grandmother would walk over to the cabinet, take out the heavy tome, and solemnly take a seat at the head of the table. Only a loaf of bread was handled with similar care: you made the sign of the cross on it with your thumb to thank God for his daily provision before you sliced it up. The family, and whoever else was present, would already be seated. We all watched my grandmother attentively, even though we all knew the ritual. I had been brought up to know that the book was special: it had been purchased by my grandmother’s grandparents, and at that time its price was as much as a cow! Whatever else that meant, it clearly meant a lot of money! A lot of money for mountain folk trying to make a living off their meager land. What was the book? Well, it was not the Bible. The Bible and the hymnals, both Polish and Slovak, had their place in the living room. The book bore the rather ponderous title typical of the time when it was first published, in the 17th century: Sermons, or Expositions of the Holy Gospels [as those are] Orderly Appointed for the Sundays throughout the Year. Gathered from Holy Scripture and the Doctors of the Church, according to the ancient teaching and order of the true Christian Church, to the honor and glory of the Mighty God and the Savior Jesus Christ. By the Reverend Samuel Dambrowski, shepherd of the Evangelical Church of the Unaltered Augsburg Confession, etc. 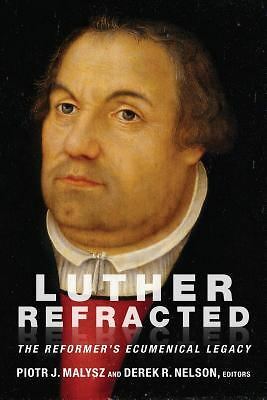 The book, to put it briefly, was a Lutheran postil, a collection of sermons covering all the Sundays, feasts, festivals, and saints’ days of the year. Later on, to my surprise, I found there was even a sermon for the Feast of Corpus Christi, and the Feast of St. Barbara (a saint, we now know, was very much fictitious), and also one for the day of the Assumption of the Virgin Mary. Each sermon was preceded by the text of the Gospel lesson, given according to the lectionary, of which the sermon was an exposition, and in the earliest edition also by a woodcut illustrating the Gospel narrative. 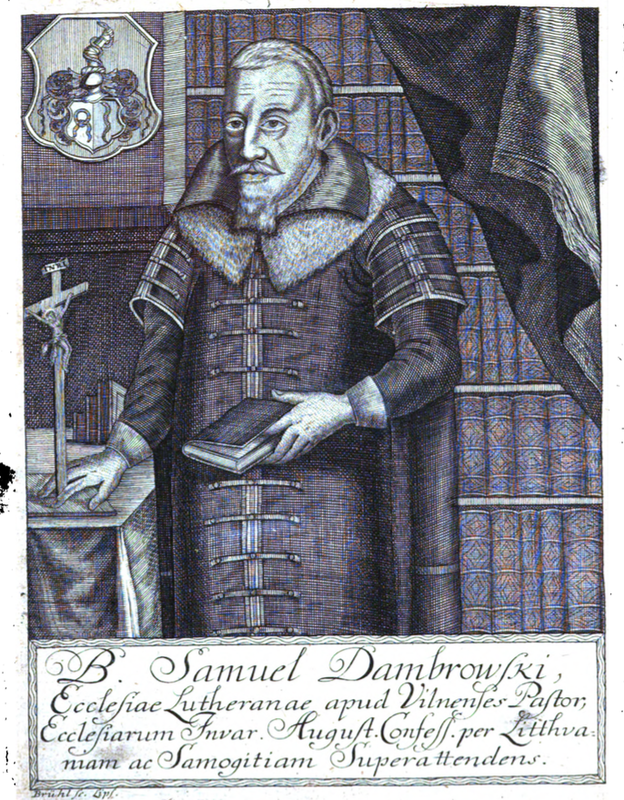 Samuel Dambrowski, Kazania albo wykłady porządne… (Toruń, 1620), followed by some fifteen editions, the last one in 1896.